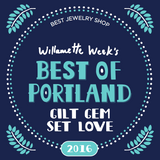 Thank you to Expertise.com who recently selected Gem Set Love as one of 20 top Jewelers serving the Portland area. They reviewed 141 Portland Jewelers and graded all of us based on - Reputation, Credibility, Experience, Availability, and Professionalism. 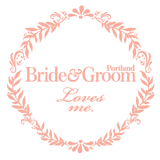 You can read the full list of the best Jewelers in Portland here. Gem Set Love was recently featured in three books! About Fodor: For over 80 years, Fodor's Travel has been a trusted resource offering expert travel advice for every stage of a traveler's trip. They can be found online at Fodors.com.